The use of evolutionary algorithms for solving multi-objective optimization problems has become increasingly popular, mainly within the last 15 years. From among the several research trends that have originated in recent years, one of the most promising is the use of hybrid approaches that allow to improve the performance of multi-objective evolutionary algorithms (MOEAs). In this talk, some of the most representative research on the use of hybrid approaches in evolutionary multi-objective optimization will be discussed. The topics discussed will include multi-objective memetic algorithms, hybridization of MOEAs with gradient-based methods and with direct search methods, as well as multi-objective hyperheuristics. Some potential paths for future research in this area will also be briefly discussed. He has published over 400 papers in international peer-reviewed journals, book chapters, and conferences. He has also co-authored the book "Evolutionary Algorithms for Solving Multi-Objective Problems", which is now in its Second Edition (Springer, 2007) and has co-edited the book "Applications of Multi-Objective Evolutionary Algorithms" (World Scientific, 2004). His publications currently report over 28,000 citations, according to Google Scholar (his h-index is 67). He received the "2007 National Research Award" (granted by the Mexican Academy of Science) in the area of "exact sciences" and, since January 2011, he is an "IEEE Fellow" for "contributions to multi-objective optimization and constraint-handling techniques." 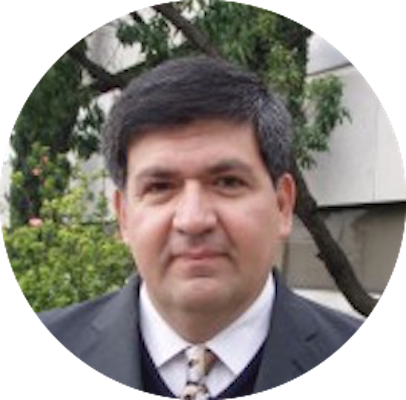 He is also the recipient of the prestigious "2013 IEEE Kiyo Tomiyasu Award" and of the "2012 National Medal of Science and Arts" in the area of "Physical, Mathematical and Natural Sciences" (this is the highest award that a scientist can receive in Mexico). He also serves as associate editor of the IEEE Transactions on Evolutionary Computation, Computational Optimization and Applications, Pattern Analysis and Applications, Journal of Heuristics, Evolutionary Computation and Applied Soft Computing. He has served as Vice-Chair and Chair of the IEEE CIS Evolutionary Computation Technical Committee and is currently the Chair of the IEEE CIS Distinguished Lecturers Committee. He was also the General Chair of the 2013 IEEE Congress on Evolutionary Computation, which took place in Cancún, Mexico. It is know that complementary solution methods can be advantageously combined to build powerful hybrid methods for hard combinatorial optimization. In this talk, we illustrate our experiences on two hybrid methods applied to several knapsack problems. We first discuss combinations between exact and heuristic methods within the context of multidimensional 0-1 knapsack problem and multiple-choice multidimensional knapsack problem (as well as a satellite photograph scheduling problem). We then show two applications of population based computing combined with local search to solve the quadratic multiple knapsack problem and multi-objective knapsack problem. We finally draw some conclusions based on these experiences. 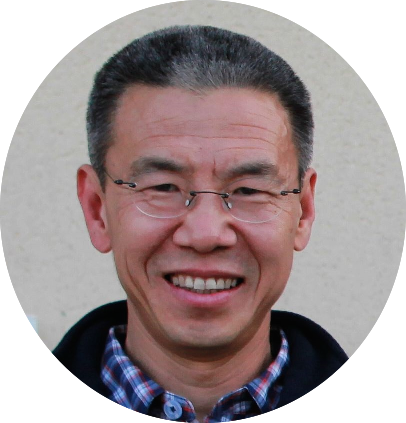 Jin-Kao Hao is a Distinguish Professor in Computer Science at the Université d'Angers (France) and Senior Member of the Institut Universitaire de France (promotion 2015). His research lies in designing effective algorithms to solve large-scale combinatorial search and constrained optimization problems. He is interested in various application areas including bioinformatics, telecommunication networks and transportation. He has co-authored some 200 publications in international journals, book chapters and conference proceedings. Iterated Local Search (ILS) is a conceptually simple and efficient Metaheuristic. The main idea behind ILS is to drive the search not on the full space of all candidate solutions but on the solutions that are returned by some underlying algorithm, typically a local search heuristic. This method has been applied to many different optimization problems with more than 5,000 entries in Google Scholar. In this talk, we will review briefly the ILS method and focus on the extensions of ILS as the hybrid ILS approaches, the different hybridizations implementations and the advantages and disadvantages of these hybridizations. We will also discuss other ILS extensions as the SimILS (Simulation+ILS) to solve Stochastic Combinatorial Optimization Problems, and the MoILS, to solve Multiobjective Combinatorial Optimization Problems. In addition, we will review the most important applications of ILS and extensions in different areas, from Supply Chain Management to Health Care. Finally, future research topics will be presented. Helena Ramalhinho Lourenço is an Associate Professor (Profesor Agregado) at the Economics and Business Department at the University Pompeu Fabra, Barcelona, Spain. She has a B.A. and Master degree in Statistics and Operations Research from the University of Lisbon, Portugal, and a Ph.D. in Operations Research from Cornell University, New York, USA. She has been involved in different research projects and consulting for firms in the area of Operations Research and Logistics. Helena has published several articles in prestigious international scientific journals and has presented her work at international congresses and conferences. Helena teaches at various undergraduate, master’s and PhD`s programs. 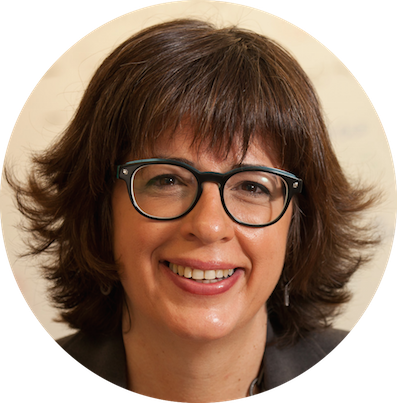 She is currently the director of the Business Analytics Research Group and a researcher at the Center for Operational Research at the University of Lisbon. Her research interests include Operations Research, Scheduling, Combinatorial Optimization, Metaheuristics, Iterated Local Search, Heuristic Search Optimization, Vehicle Routing, Job-Shop Scheduling, Supply Chain Management, Logistics, Production and Operations Management.